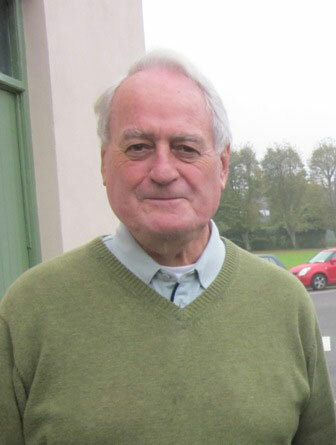 Fr John O’Keeffe SMA has been appointed Leader of the SMA community at the African Missions, Wilton, Cork. He succeeds Fr Dan Cashman SMA who, after a six-year term, now takes up the position of Director of the SMA Wilton Promotion Office. Fr John, from College Road in Cork City, was ordained in December 1969. He spent 25 years ministering in Nigeria (1970-1995) – as a teacher, Parish Priest and SMA Regional Superior. He taught in Mary Immaculate Teacher Training College (Kafanchan), Government Girls’ Secondary School (Kankiya), St Murumba’s College (Jos) and the Community Secondary School (Shendam). As a Parish priest he ministered in Sacred Heart parish, Shendam (now the seat of a separate diocese) and in St Theresa’s, Jos. In 1989, John was elected Regional Superior for Northern Nigeria. From there he was elected to the Irish Provincial Council, based in his native Cork. After completing his mandate, John returned to Nigeria, to the diocese of Bauchi (2001-4) and then back to Jos Archdiocese, where he’d spent most of his early missionary life. In 2007, John was asked to help train young Nigerians who wanted to join the SMA. This brought him to the SMA House in Kagoro, a couple of miles from where he first worked – Mary Immaculate TTC in Kafanchan. The wheel had turned full circle. Fr John has been succeeded as Director of the Preparatory Programme in Kagoro by Fr Colman Nilan SMA, from Kinvara, Co Galway.